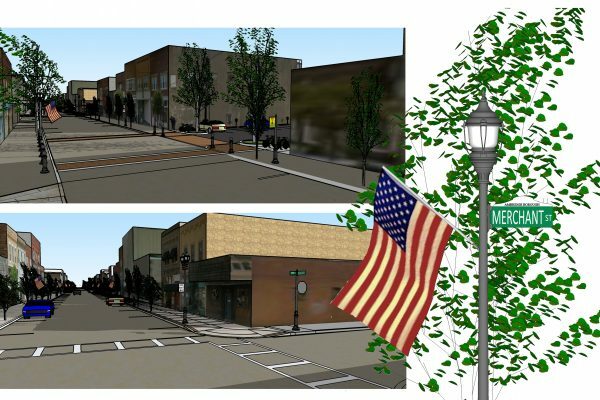 The Past: The new streetscape design supports Ambridge’s rich history and architecture along Main Street. The Present: The design reinforces the existing building grid and helps to frame the individual storefronts. 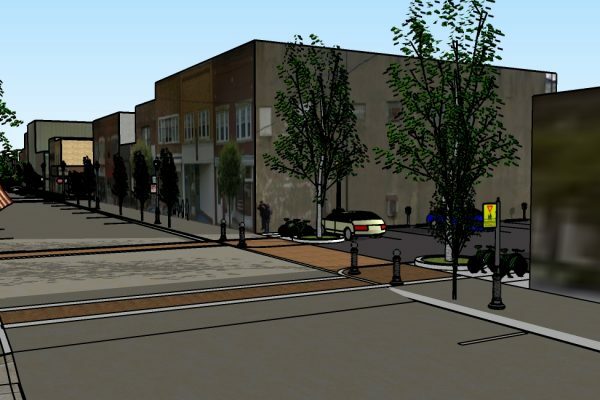 The project addresses gateways, corner intersections, existing parking lots, vacant lots in the four block area, pedestrian safety, and infrastructure. It considers how the four block area as a whole relates to the rest of Merchant Street and the workings of the downtown area. The Future: The new streetscape design is one that thinks about the future through the lens of growth and economic prosperity, and for the health of the community. 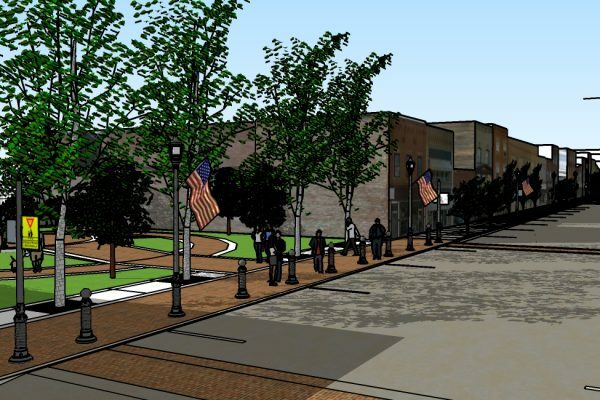 It is a design that can be easily replicated for future streetscape projects in the town. Plans are for construction to be completed in 2018.